Nisela Capital’s star is rising. Just five years after being founded in 2011, the company acquired Genrec Engineering from JSE-listed Murray and Roberts Holdings in a R185 million deal in October. 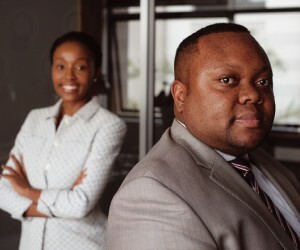 It is on the back of this acquisition that Nisela will be aggressively venturing into the black industrialist space.Aggression is the middle name of Richard Ngwenya, deal maker, investment banker and the founder (at the tender age of 29) of Johannesburg-based Nisela, a boutique financial services provider specialising in advisory services, asset management activities, corporate finance, private equity and property services. As Nisela’s managing director, Ngwenya exudes quiet control and has a reputation for spotting opportunities and relentlessly driving deals. Black industrialism is the current bit between his teeth. Ngwenya will be joining the board of Genrec to lead the refreshed Genrec business. “This is in line with Nisela’s drive to establish a dominant black industrialist engineering group,” he adds. An ardent believer that more equal societies tend to grow faster than those that are unequal, Ngwenya is putting into place the mechanisms needed to become part of the exciting coming-of-age of black industrialism in South Africa.His intentions are well aligned with government’s Black Industrialists Policy, which was formulated in response to the need to not only deepen the country’s industrial sector, but to do so in an equitable, sustainable manner through the inclusion of black industrialists. Nisela is in the process of listing a special purpose acquisition company (Spac) on the main board of the JSE. The JSE introduced Spac was mandated to acquire or merge with other companies in April 2014. Ngwenya says the groundwork is currently being done for a projected April 2017 listing. “We are looking to raise R500 million to acquire assets in the industrialist sector. It is typically hard to fund these transactions upfront, so we want to arm ourselves with the necessary capital going forward.” Not only will Genrec be ‘the seed of our black industrialist endeavours’, but, says Ngwenya, “given our status as a black-owned company, we will be able to procure from state-owned entities (SOEs), as well as other property players.” He adds that they also have the first right of refusal to fabricate for Murray and Roberts. Eskom was historically Genrec’s biggest client and Nisela hopes to do substantial business in future with Transnet, Prasa and other SOEs. Whilst the Genrec deal garnered much publicity, another momentous happening that augurs incredibly well for the future of Nisela took place with much less fanfare when in October, Rapelang Rabana joined the company as executive director. An internationally-known entrepreneur, Rabana was featured on the cover of Forbes Africa before the age of 30, was named ‘Entrepreneur for the World 2014’ by the World Entrepreneurship Forum and still runs the highly successful company Rekindle Learning. Rekindle uses mobile phone and web applications to deliver interactive, adaptive and high-impact learning. Bringing Rabana on board was an acknowledgement by Ngwenya that he is ‘not the best manager of people and not the best administrator’. “I am a difficult person to work with and very particular about how things are done.”Realising this, and that the company was growing to such an extent that he could do longer be the face of Nisela, Ngwenya had to step back and admit he could not be in more than one place at the same time and that he needed to start delegating. As the only other director and shareholder in the business, Rabana brings to Nisela a host of skills that will complement Ngwenya’s talents. “I am process and structure driven, which makes business management simple for me. I am here to facilitate the smooth growth of Nisela, and extend its reach in technology. Richard will do what he does best, which is bringing in the big deals, and we will execute them.” No newcomer to Nisela, Rabana has for some years served on the board of the company. Her appointment as executive director comes with an agenda of her own, one that lights a steely determination in her eyes. She ardently wants to learn more about the financial services sector, not only for personal enrichment and advancement but so that she is better equipped to help addresses a major stumbling block in the technology arena in South Africa—a lack of funding, which is hampering a sector that could make real contributions to the country’s growth. “If I understand private equity better, I will better know how to tackle the tremendous funding gaps that exist in the technology sector,” she says. Ngwenya explains that Nisela has a minority shareholding in Rekindle and will help bankroll future endeavours.“Technology entrepreneurs complain about a lack of funding, but it is up to us to find a way forward. Once I have investment banking experience, I hope to find capital solutions for the sector,” says Rabana. Both Ngwenya and Rabana say the work done by Nisela and Rekindle could be groundbreaking for the technology industry.“If you use technology well, your business will be very efficient. It is no longer viable to be world-class without the excellent use of technology and I hope to bring these insights to bear in the investments we will me making,” says Rabana. While in her early 20s, Rabana rapidly gained a reputation as an innovator in the already innovative world of technology. Her ‘baby’ Rekindle Learning was profiled in the McKinsey report Lions go digital: The Internet’s transformative potential in Africa as a ‘striking innovation’ in mobile learning. She was also invited to join the World Economic Forum Annual Meeting in Davos and its Global Futures Council on Innovation & Entrepreneurship. Nisela was incorporated in 2008. When in 2011 Nisela became operational, Ngwenya left the corporate world with its guarantee of a regular pay cheque to concentrate on growing the company and fostering his own entrepreneurial spirit. He was met with considerable backlash from friends and family. “It was a difficult time to venture away from financial security,” he admits. “It was post the financial crash and I had a second baby on the way.” Just a few years down the line, however, Nisela is poised for greatness. “We have survived the first five years, having successfully navigated a number of landmines,” he says, sharing that he came close to throwing in the towel a few times and rejoining the corporate world in a salaried position. Today, he can take immense satisfaction in the predicted turnover of R50 million in this current financial year, and—thanks in part to the Genrec acquisition—a projected R500 million in 2018. Apart from Nisela’s black industrialists’ strategy, the company focuses strongly on advisory and asset management services. “We have established a reputation as a property advisory leader,” says Ngwenya. In the asset management arena, Nisela deals mainly in private equity and exchange-traded funds (ETFs) in Africa. ETFs enable an investor to invest in a variety of asset classes through a single listed investment product. Another area that offers huge opportunities is the Property Charter, says Ngwenya. Originally only a transformation charter, the Property Sector Code for Broad-Based Black Economic Empowerment has now been promulgated as a sector code of good practice. The code aims to increase property ownership and control by black people and to promote a broad-based element in general property development. “It is going to be a key driver in the advisory business,” he says, adding that South Africa is the land of milk and honey for those who are prepared to roll up their sleeves up and work. Despite the new ground Nisela is breaking, and Ngwenya’s plan to change the revenue mix away from the advisory side and bulk up the annuity income part of the business, he stresses that Nisela’s core mandate is to build a dominant and diversified black-owned and controlled boutique investment bank. Nisela Capital has a unique on-the-ground team that has several years of investment banking and transactional experience in Africa. “I believe that relationships are everything. Trust is something you cannot buy and most of our work in the advisory space comes as a result of the trusted advisor status we have. Nisela means ‘to grow or to nurture’ and that is indeed what Nisela does. “We believe in nurturing relationships, nurturing our clients’ return on investment and basically giving life to our tagline of ‘Advise, Invest, Insure’. “I often visit with clients till late at night, developing ideas or grappling with problems. Nisela cherishes its Trusted Advisor status. Clients can call on me without having to worry what it costs them from a time point of view. They have realised our goals are aligned with theirs because when they make money, we make money. Born in Gweru, Zimbabwe, Ngwenya was a boarder at Peterhouse—where he completed his A-levels.This Zimbabwean school is a sister school to South Africa’s Michaelhouse and Ngwenya credits it with providing him with an excellent foundation. Not that Ngwenya is without qualifications. Apart from his ‘first-class MBA from the University of Life’, he earned a B.Com degree in Financial Accounting at the University of Cape Town (UCT), which he claims is the best university in Africa. Ngwenya is a seasoned banker and private equity professional with over 13 years’ experience. He previously served at Barclays Africa Group as a Regional Head of Property Finance. 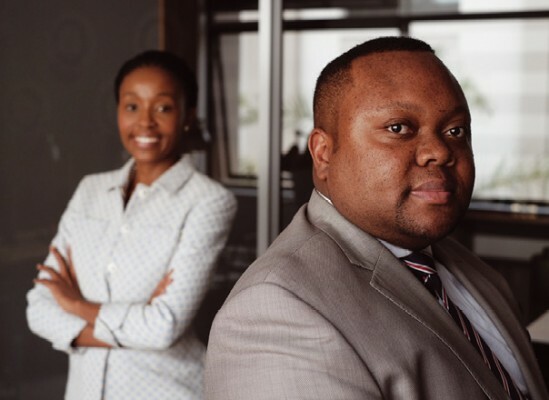 Prior to that, he worked at Investec Bank as part of the Private Client Investment Banking team, providing mergers and acquisitions advisory services to ultra-high net worth individuals mainly focused on BEE. He also serves as a member of the Directorate of Market Abuse (Financial Services Board). Although she has a Masters Degree, Rabana is also the least qualified person in her family. She too was born outside the borders of South Africa—in Botswana, and she too says she owes much of her mindset to her parents. “They broke many barriers. My mom was an electrical engineer and my dad an architect. They were the first generation out of poverty and although they began their lives as public servants, their entrepreneurial flame burnt brightly.“It is great to have parents who can support you, who have been down the same road as you and understand the journey you are on,” she says. All of Rabana’s siblings are also successful, and in ‘socially acceptable jobs and roles’. An internationally recognised thought leader, Rabana has had wide exposure across industries, from tech and telecoms through to her first start-up, Yeigo; to fintech as a board member for Moro Group, an ICT and payment services group headquartered in Botswana; to social innovation as a global shaper of the World Economic Forum; to green tech as a board member for Meniko Records Management Services, a digital records and document management company; to financial advisory and private equity as a director of Nisela Capital; to trend analysis as part of World Economic Forum Global Future Council on Innovation & Entrepreneurship. Ironically, whilst Ngwenya and Rabana were at UCT at the same time, they did not really know each other. “Behind every successful man is a strong woman,” says Ngwenya. “I am very fortunate I have three of them. My fiancée, Victoria, my 10-year-old daughter, Ntemi, and my business partner, Rapelang. Their influence is very strong in my life and the three of them play key roles in my support structure.”Nisela has a staff complement of six full-time employees. Consultants who are experts in their niche markets are hired for specific projects.